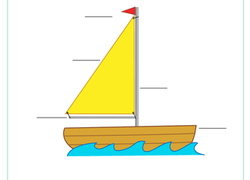 Help your first grader sharpen his phonics ear by practising identifying words with the long a sound. Help your child practise phonics with this fun worksheet, which challenges your child to identify "a" vowel sounds. As your little one learns to ride a bike, help her get familiar with all the different parts! She'll get to cut and paste these sight words onto the picture.